Are you a risk taker? If you said no, think again. You may be more of a risk taker than you think. Dan works as a sales clerk to support his fledgling acting career. Before that he taught school, following 11 years as a computer programmer. You may perceive Dan to be a risk taker having left two positions which had good security and pay. But Dan doesn't see himself as a risk taker. For Dan, risk involves physical activities such as mountain climbing. Most of us are more conscious of the risks we avoid than those we take. That's why we don't think we're risk takers. And because we're aware of the risks we avoid, we assume that others take bigger risks. But they may be avoiding risks we're taking. So risk, in this sense, is in the eye of the beholder. Physical danger - sky diving, skiing, taking drugs, having cosmetic surgery? Psychological/Emotional - staying in a dead-end job, getting married or divorced? Social - giving a presentation, telling jokes at a company party, traveling solo in a foreign country? Intellectual - taking a graduate course, chairing a high-level policy meeting? Economic - investing in stocks, buying a home, starting a business? Career - changing jobs or any combination of the above? - Think about three successful risks you've taken in any life component. What did you do to make it turn out well? In which categories did the risks fall? What have you learned about yourself and your risk taking behavior? - Describe barriers that are blocking you from making a desired change. For example, Personal Barriers include fear of loss of a secure income; fear of failure (such as starting a new job); fear of what others will think; fear of success; and guilt that change might create family hardships. Societal Barriers include old notions of “career”; outdated retirement policies; traditional gender roles; and blocks imposed by educational institutions, unions and professional associations. - Let go of "attachments." The more attached you are to something, the greater the fear of losing it. Ask yourself, "What do I want to let go of?" "What's the worst thing that can happen if I let go?" "What people, resources and support would make my goal less risky?" - Live in the present. Because most fear centers around the future, don't spend time worrying about what might happen. - Know yourself. Clarify your purpose, strengths and priorities. What do you really want to do? How does this differ from what others think you should do? Replace the "shoulds" with your own values. As you turn your priorities around, risking will become easier. It's simpler to risk for something you're passionate about. - Clarify a goal in harmony with your purpose. State and write down your goal and outline a plan to achieve it. Break the goal down into small steps. What's the first step you could take? When could you take it? Do this for each step. - Watch "self-talk." Each time you catch yourself saying something that fuels your fear, say "cancel," and replace it with a more positive statement. Shift your vocabulary from being a victim to someone with power and strength. - Educate yourself. Read books, listen to tapes, or take courses on building confidence, strengthening ability to risk, or any other topic of interest. - View setbacks as learning experience as you move toward your goal. Failure can be reduced by researching, planning and persisting. Depersonalize setbacks. Ask yourself what you would do differently and then make the necessary modifications. - Look upon something new as an exciting opportunity to challenge yourself and to grow. If you don’t try, how will you ever find out if you can do it? - Balance tentativeness with commitment. Set goals but don’t write these in stone. Be open to new experiences. - Establish a support group. Confide in and ask for help from supportive family or friends. Associate with positive people. 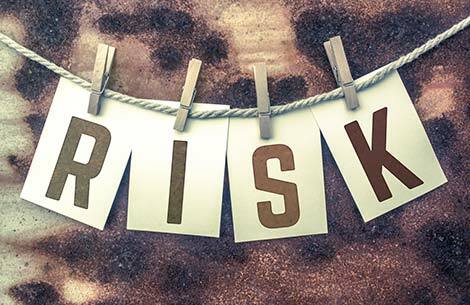 - Complete this Fantasy Risk Exercise: Think of an important risk you would like to take. What appeals to you about taking this risk? What would you gain? What is frightening about this risk? What will you lose? What’s the worst thing that could happen if it turned out badly? If the worst happened, what would you do? Where could you get information to pursue this risk? From whom could you get support? What could you do to make this less risky? Less irreversible? If you broke the risk into small steps, what would the first step be? How soon could you take it? Do this for each step. Evaluate the outcome of the risk. Did it turn out as expected? If not, why? What have you learned? Celebrate your success whether or not it turned out as expected. Gradually, you will see yourself as a risk taker. Creating a life worth living and finding the courage to risk pursuing you dreams isn’t easy, but you can do it!